The popular family ski resort of Samoens is accessible from Geneva airport in about an hour. Go Massif provide a variety of transfer options between Geneva airport and Samoens. For cost-conscious travellers, the Go Massif shared service offers great value for money, especially for inviduals and couples. Private transfers are available for those who want to get to or from Samoens as quickly as possible. Half of the Go Massif drivers are based in Samoens. They have an unrivalled knowledge of each address in the village, making Go Massif the most punctual and reliable transport provider in Samoens. 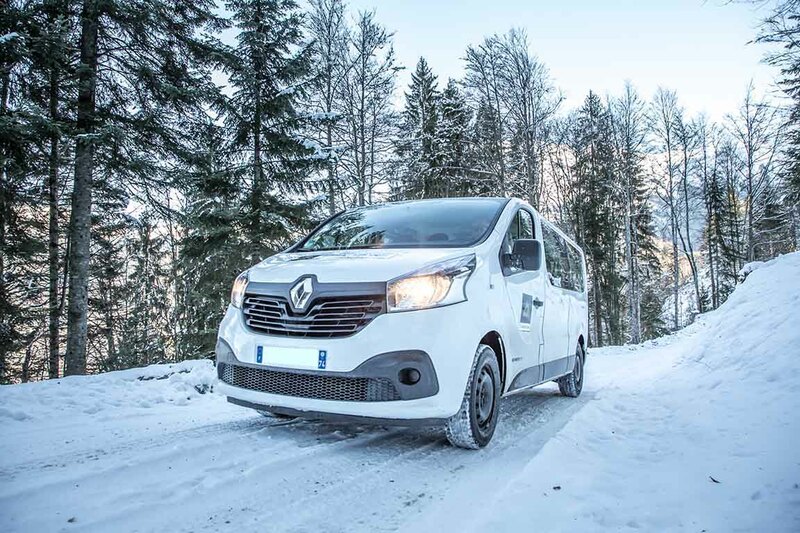 During the ski season, Go Massif operate a regular shared mini bus service between Geneva airport and Samoens. With maximum grouping times of 90 minutes on weekdays and Sundays and only 60 minutes on Saturdays, it is possible to get from Geneva airport to Samoens quickly and cost effectively. The Go Massif Shared transfer service to and from Samoens is direct to the door of your accommodation, unlike public transport alternatives. Go Massif provide a first-class private transfer service between Samoens and Geneva airport or any other destination. With a private transfer, you have the entire vehicle dedicated to you, like a taxi. The driver will pick you up to suit your flight timings or at the time you specify.